100% IT Recruitment specialists in Birmingham can help you find the right IT professional for your vacancy. We understand that finding the best talent is often time consuming and frustrating for Employers. We can attract the right candidates, interview them and provide a shortlist to ensure you interview the best candidates available for your IT job. Birmingham is the second largest city in Great Britain, after London, with a population of over 1 million. 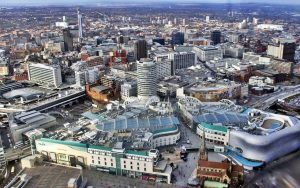 Birmingham is home to thousands of businesses from numerous sectors, so the IT opportunities are numerous and varied. 100% IT Recruitment have helped many local companies fill their IT vacancies. 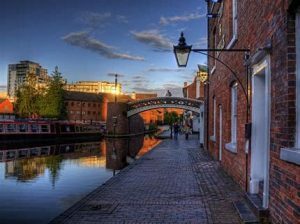 While manufacturing once lay at the heart of Birmingham’s industry and is still relevant today, the economy of the city has diversified into service industries, retail, finance and tourism. Birmingham is an important transport, retail, events and conference hub and its six universities make it the largest centre of higher education in the country outside London. We work with IT professional from across the sector and offer excellent service and competitive rates. With over 25 years of experience our consultants can offer advice on job descriptions and salaries. This ensures you get the best permanent and contract staff for your vacancies in the Birmingham area. Web, Database and application software Developers. We can match contract staff with the skills you need to you IT vacancies using our comprehensive database of contract staff in the Birmingham area. We can offer a wealth of industry recruitment knowledge and are more than happy to discuss your requirements for permanent IT staff. We use our expertise to ensure the process of finding the right IT Professional for your position runs smoothly. Whether you are a large or small company in Birmingham, looking for one new member of staff or have a continuous recruitment need we can help find contract and permanent staff. Call us to discuss your IT vacancies on 0844 8794523.